Since none of you have never been in a Mind Control Cult, and I have been, I thought it might be instructive to help you all understand what it’s like. Contrary to popular rumor, I am not now, nor have I ever been a member of The Church of Jesus Christ of Latter-day Saints. “Steve Hassan is a Cult Counselor and Mind Control Expert, a Nationally Certified Counselor and licensed Mental Health Counselor. He has a break through approach to helping loved ones to get their loved ones out of cult mind control. Now by asking Steve to speak to us we’re not necessarily implying that Mormonism is a cult! I mean, you ask any Mormon and they will tell you that the church isnot a cult. They recognize that the FLDS IS a cult, but not the LdS Church. President Monson would not run a cult. He is a Prophet of God. Other so-called Prophets run cults but not President Monson. Thank you Mr. Packham. So for those of you that might have been thinking “those” thoughts . . . well now, you can just relax, take a deep breath, and “simmer down” can’t you? You see, though I was never a Mormon, I was a member of what has come to be known as The Shepherding Movement for 11-years (from 1978-1989). 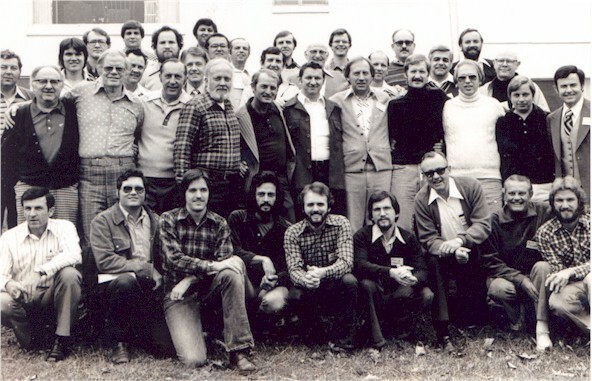 “The Shepherding Movement (sometimes called the “Discipleship Movement”) was an influential and controversial movement within some British and American charismatic churches, emerging in the 1970s and early 1980s. The doctrine of the movement emphasized the “one another” passages of the New Testament, and the mentoring relationship described in 2 Timothy. Before I joined the Shepherding Movement I was pretty much your typical 1970′s anti-establishment “Jesus Freak” with long hair, a head band, and a belief in a Jesus that was pretty much a hippy just like me. I was flakey, irresponsible, politically liberal, a registered Democrat (an obvious sin if there ever was one! ), and with a theology that was far more reflective of hippy culture than anything aligned with Biblical Christianity. However, despite that self-admitted immature, theologically compromised mess I did have one thing going for me: I could think for myself – maybe not so well, but I could think independently none-the-less. After joining the group this all slowly began to change. That’s why when I discovered Steven Hassan’s BITE model (via the aforementioned ExMormon Foundation Conference address) I felt like the clouds had parted, the sun had finally broken through, and the fog had finally cleared. I finally “got it”. 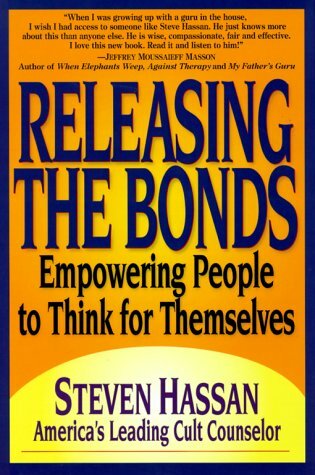 Hassan introduced the BITE model in his book “Releasing the Bonds: Empowering People to Think for Themselves” , “BITE” stands for “Behavior, Information, Thought, and Emotional Control. The model is based on the Cult and Mind Control research of Clinical Psychologist Margaret Singer, the Thought Reform/Brain Washing research of Robert Lifton, the Cognitive Dissonance and Social Comparison theories of Leon Festinger, and Hassan’s own research and personal experience in Reverend Sun Myung Moon’s Unification Church. Because the model is based on scientific empiricism it can be used to assess any group entity or social institution be it religious, business, political, or otherwise to determine if it’s behaving like a Mind Control Cult or not. Further, it is non-sectarian as well as doctrinally and theologically neutral. o Only “good” and “proper” thoughts are encouraged. o Rejection of rational analysis, critical thinking, constructive criticism. No critical questions about leader, doctrine, or policy seen as legitimate. o Phobia indoctrination: inculcating irrational fears about ever leaving the group or even questioning the leader’s authority. The person under mind control cannot visualize a positive, fulfilled future without being in the group. And with that “milk” foundation now laid, in Part 2 I would like to use the BITE Model as a framework for walking you through the “meat” of what I and others experienced via the Mind Control tactics and techniques employed in The Shepherding Movement. My hope is that by “putting myself out there” like this you will come to understand how groups that use Mind Control tactics and techniques acquire, retain, and control their members so that, maybe, just maybe, you will never suffer the fate of becoming a mind control cultist like I once did. This book offers a well researched (David Moore personally interviewed all of the living principle players and many of the secondary players) snapshot of how “the doctrine of the Nicolaitans” challenged, leavened, edified, and damaged large segments of the Charismatic Movement of the 1970’s and 1980’s. Good, bad, ugly, and everything in between – it’s all here! In addition to reading this book I have purchased and listened to the audio tape edition (available directly from David Moore or from Charles Simpson Ministries at […] I found the content and the author’s findings in the audio edition of this book to be the perfect companion to this edition – which is scholarly, objective, balanced, and fair. Was I hurt during the Shepherding/Discipleship movement? Sure, just about everyone involved in the Shepherding Movement was to some degree – especially the leaders. I left the movement angry, bitter, and muttering, “Never again!” However, by doing personal research, reading, prayer, and a few “Matthew 18’s” I consider myself healed, sealed and congealed. And, friends, there was a lot to be healed from due to the imbalances and errors of this movement! Candidly, there were personalities back then that are still alive and, in my opinion, that one would be wise to be avoid. Why? Some have learned and moved beyond the lessons from Discipleship and some have not. That is why this book is SO important. It is primarily a work of scholastic history. As the cliche’ goes, “Those who do not learn from the past are doomed to repeat it.” And, yes folks there are churches repeating the errors of this movement even as you are reading this review – I can guarantee it! I say this from personal experience. You see, after I exited the Shepherding Movement (around 1990 or so) I noticed that several of the churches that we went to were practicing Discipleship – one even taught it from the pulpit – but all were in denial. One church leadership group, in particular, was brutally traumatized when I brought this fact to their attention. 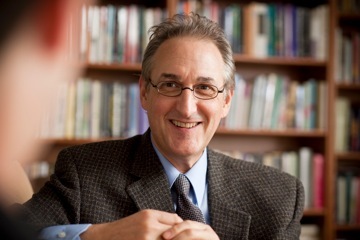 I was rebuked for even suggested that they were “like them!” This told me that the errors of Discipleship weren’t exclusive to, “the big four or five” or even a particular movement at a particular moment in time but were simply a formalized, doctrinized form of widespread pastoral, pastoral staff, and cult-like control issues. These errors and imbalances are common to the Church universal past, present and (probably) future. Jesus referred to it as “the doctrine of the Nicolaitans” (Revelation 2:6) the word “Nicolaitan” transliterated, I was told by David Rose (who is not mentioned in the book because he was one of Derek Prince’s men – the book focuses mainly on the Mumford and Simpson “branches”), to mean “one who gains victory over the people”. I think that you will find this “doctrine of the Nicolaitans” in whole or in part just about everywhere there are churches filled with those sinful creatures called, “the sons of Adam and the daughters of Eve” (to borrow from C.S. Lewis). If you are one such creature, you will learn much about yourself (and maybe your church) from this book. There is also much positive to learn from the Shepherding Movement. Integrity Music was a direct by-product of the Shepherding Movement (our worship back then was legendary). Some base concepts and doctrines of Promise Keepers and the men’s movement of the early 1990’s were directly or indirectly influenced by the Shepherding Movement as well – whether they will admit it or not is another thing! Yes, we made a lot of mistakes but we got a lot right as well. To this day I believe that our ecclesiology was dead right but our application of those truths was dead wrong! Hey man, if you can get a bunch ex-hippies interested in Theology and historic, credal, normative Christianity THAT alone must be divine, can you dig it? At the end of it all I think that we all came to realize what depraved sinners we really are. I know what I am capable of without God and daily reliance on the Holy Spirit – and it’s NOT pretty!